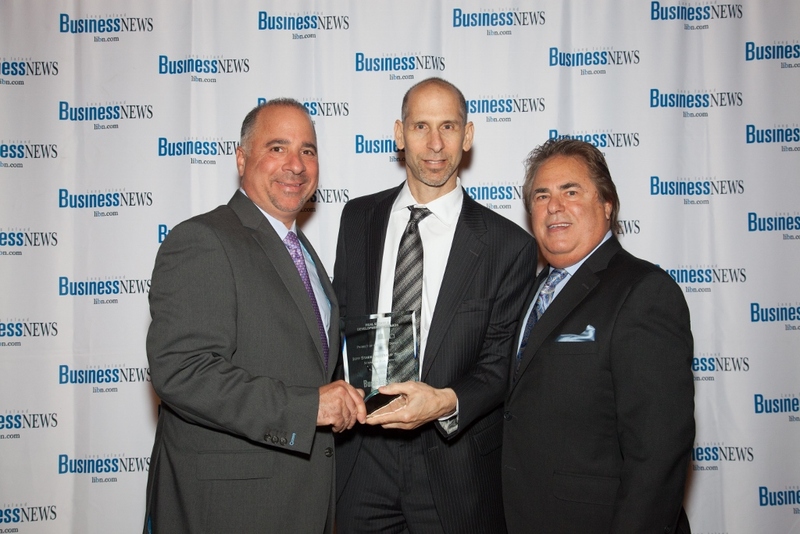 Schacker Realty brokers were honored with 4 awards at the 2017 Real Estate & Development Awards sponsored by the Long Island Business News. 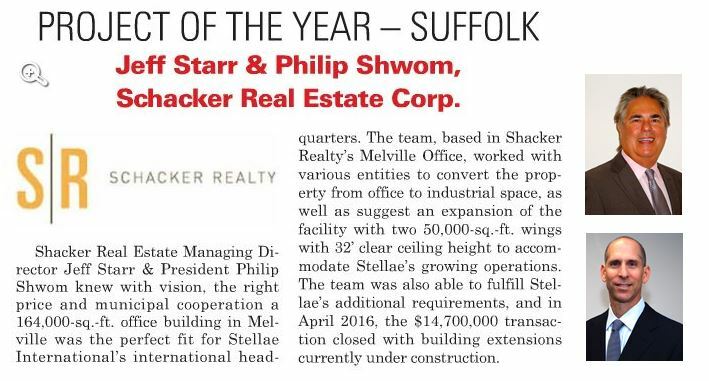 Commercial Broker of the Year went to Phil Shwom, President of Schacker Real Estate Corp.
Project of the Year (Suffolk) was awarded to Jeff Starr and Phil Shwom for their part in the conversion of a 164,000 SF office building into an expanded industrial property for Stellae International. 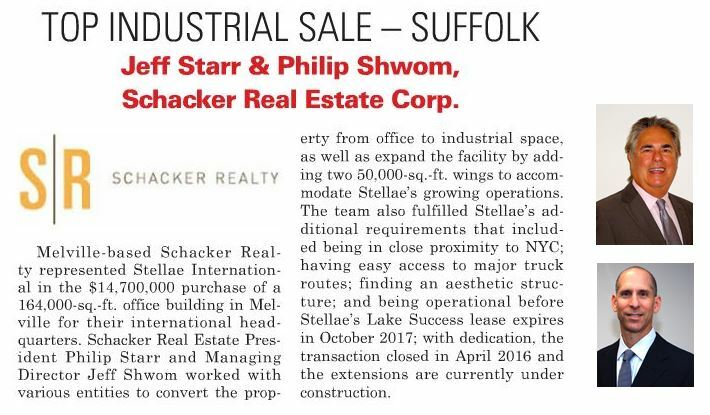 Jeff Starr and Phil Shwom were also awarded the Top Industrial Sale Award (Suffolk) for their part in the purchase of a 164,000 SF office building which, with municipal cooperation, was transformed into an industrial property for Stellae International. 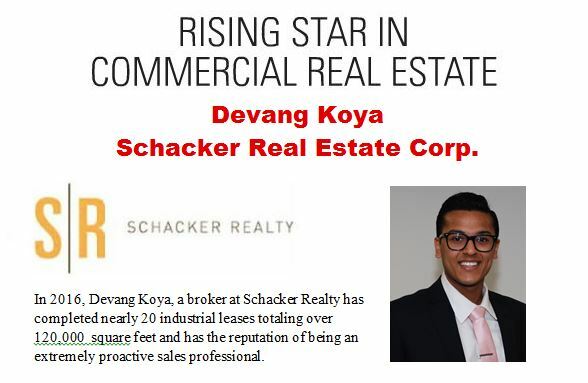 Devang Koya received the Rising Star in Commercial Real Estate award for his great work in completing almost 20 industrial leases totally over 120,000 square feet. Schacker continues to strive to remain a top Long Island Commercial Brokerage and is proud of these most recent accomplishments by our brokers. Congratulations to all.